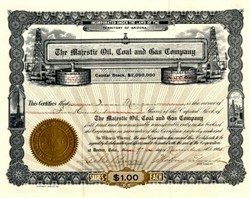 Beautiful certificate from the Majestic Oil, Coal and Gas Company issued in 1905. 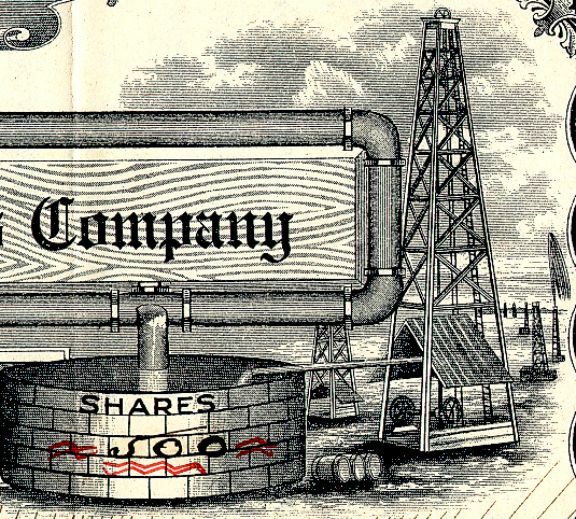 This historic document was printed by the Rocky Mountain Banknote Company and has an ornate border around it with a vignette of oil towers and tanks. This item has been hand signed by the Company’s President, and Assistant Secretary, Leslie Burr and is over 106 years old.